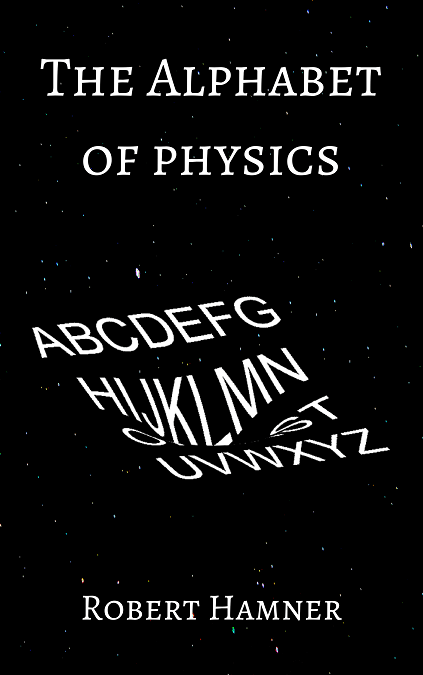 I looked at this a few different ways. The first was to use the score described here. Using that, here are the winners each year that a QB or RB won the MVP and the league had at least 14 games. The number in parentheses is the score described in the link referenced above. Most years, the results look about right. There are a few that seem way off though. Digging into one of them, compare Rivers and Manning in 2008. Rivers outperformed him in every statistical category. Rivers' team also went further in the postseason than Manning's did that season and did so by beating Manning's team. For a given season, the total probability of winning has to be 1 for all players, so I just divided each player's score in each season by the sum of scores in that season to normalize it. As an extreme example, if two players have an individual score of 90% and the rest of the league has a combined score of 0%, those two players effectively each had a 50% chance of winning in that season. Using this to generate % chance of winning for each season, I get the following as the 5 most obvious MVP winners and 5 'luckiest' MVP winners (won with the lowest % chance of winning). I've also added 'unluckiest' which is the list of players with the highest chance that ended up not winning that season. This model is extremely crude, but it works pretty well to spot outliers. I previously walked through Manning's 2008 season. Manning's 2009 was similar in that Brees beat him soundly statistically and their teams performed similarly. Montana's 1990 was interesting in that Moon outperformed him statistically but was on a much worse team. 1985 and 1979 were interesting in that an RB won the MVP with a worse overall statistical performance than the best QB. 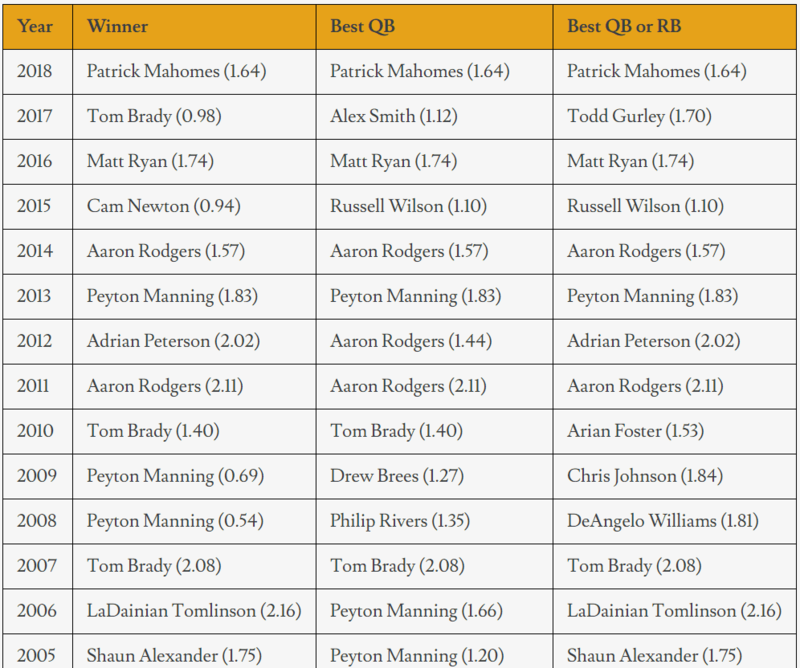 At least in recent history, QB's have had an advantage in MVP voting. This might be due to mixing time periods. 40 years ago, RB's were more valued, so by mixing old and new data I likely made the model inaccurate for really old or really new data. Looking at only the statistical data and removing everything you pick up from watching the games (that is important but I can't capture here), I think Peyton Manning's 2008 season was the least deserving MVP season in the last 30 years. Statistically, Phillip Rivers, DeAngelo Williams, Drew Brees, Aaron Rodgers, and Kurt Warner all had more impressive 2008 seasons. Manning's statistical score of 0.54 means that he was only half a standard deviation above the average starting QB that season which is the lowest ever for an MVP winner.